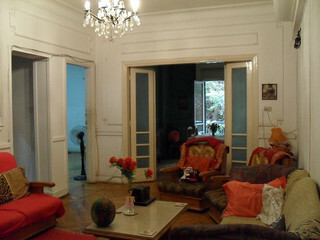 Mission: ARC is a small residency program for international artists and provides a comfortable base in this crazy city. This is the perfect place to work on artistic projects or simply take some time and space to enhance your creative process. ARC was created by Linda Cleary -a poet,writer and performer, originally from UK. As well as her own work as a writer, actor and performer, she has been delivering workshops in creative writing, theatre and related arts since 1992; working in Holland, Czech Republic, Australia, UK and Egypt and currently provides courses in Cairo. She is also initiator and director of a new event organisation for writers in Cairo – The Writers Centre – and also runs several arts initiatives including, an arts residency and open mic events. 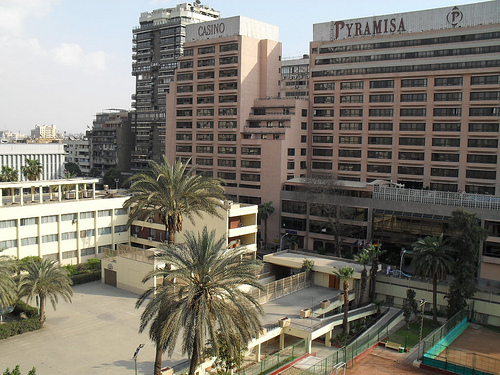 Cairo has a strong cultural heritage and is also producing new exciting contemporary work; you will find many opportunities artistic and otherwise. Accommodations: ArtHome comprises of a 3 bedroom apartment with 2 bathrooms, kitchen, living room, drawing/dining/workroom and balcony. The flat is boho chic with original features, chandeliers, Egyptian paintings, wooden floors and a lovely tree outside the balcony. Of the 2 guest bedrooms; one room has a double bed and the other room a single bed (with other beds available if sharing the room), both have wooden floors. 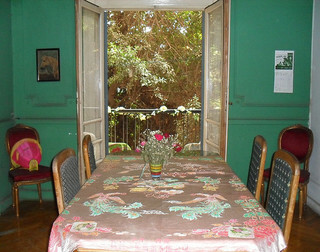 The huge guestroom at the front of the premises has its own closed balcony with doors and is mainly been used as a workspace specifically for the visiting artist(s), with their sleeping quarters in the back bedroom; the back bedroom is an ample size and quieter due to its off road position. So essentially you get a bedroom AND your own huge workspace room for your money; unless the residency is fully booked in which case you would use the shared work and living areas. Demographic/Medium: ARC is open to visual artists, writers, mixed media artists, sculptors, dancers and performance artists for stays of two nights to one month. Benefits: ARCs ArtHome residency is also my home and intended as a heart center for developing artistic work and providing a landing mat for those seeking to absorb Cairo and hear its many stories as well an opportunity to be linked in with the art scene. Downtown is bustling with creativity; artists and writers gather in the numerous coffee houses and bars and radical and exciting work can be found in the galleries and venues. The city is full of paradoxes of old and new, traditional and contemporary. Posted in Artist Residency Cairo, EgyptTagged 1 month, 2 nights, absorb cairo, actor, animation, Art, art presentations, art residency, art salon, ArtHome, Artist, Artist Residency, Artist Residency Cairo, artistic projects, artists, arts intiatives, bars, Base, Cairo, career development workshops, ceramics, City, coffee houses, comfortable, contemporary, crazy city, creative process, creative writing, cultural, Dance, dancers, education, Egypt, film making, galleries, heritage, international artists, internet, kitchen, Library, Linda Cleary, literary salon, Literature, live, mixed media, Music, New Media, night, office, ongoing deadline, open mic nights, per night, performance artists, performer, performing arts, poet, Printmaking, private room, Rate My Artist Residency, residency, sculptors, Sculpture, shared apartment, shared room, space, take some time, textile, The Writers Center, theater, Theatre, time, UK, urban, venues, visual artists, work, writer, WritersBookmark the permalink.